We have one every year. 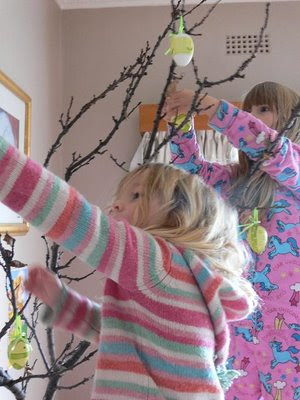 This year's branch was pruned from our brave little apricot tree who decided to let this particular branch die in hope of saving future crops... It still has some dead leaves, so its perfect for the easter/autumn mash up that happens here. 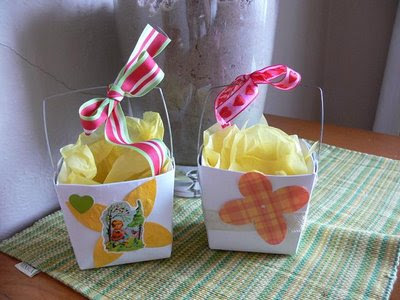 What egg hunt would be complete without baskets decorated in anticipation? 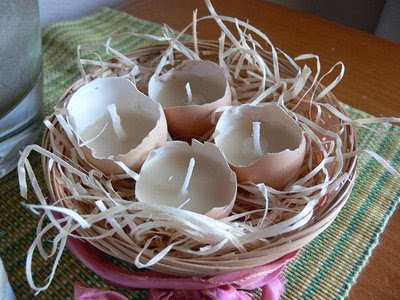 And another way to use up those old beeswax candle bits... eggshell candles!